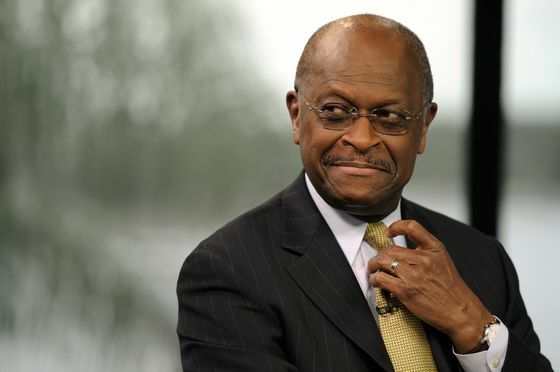 (Bloomberg) -- President Donald Trump has said privately that he knows Herman Cain will have trouble getting confirmed to the Federal Reserve Board, people familiar with the matter said. Some of Trump’s closest advisers want the FBI to finish its background check before he makes his decision on whether to formally nominate Cain, but others said they are aware of the misgivings of GOP senators and that they wouldn’t be surprised if Cain withdraws. 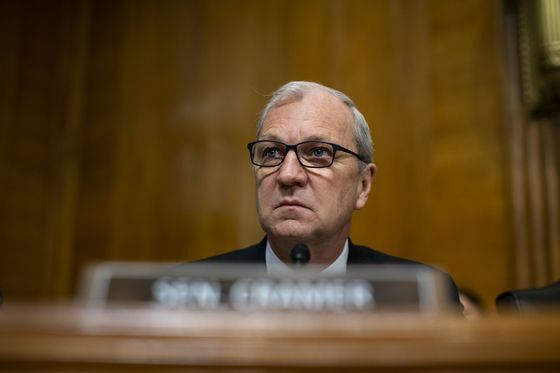 The people, who were granted anonymity to discuss internal White House deliberations, spoke hours after North Dakota Senator Kevin Cramer said he wouldn’t back Cain if Trump nominated him to the Fed, and he hopes the president will make another choice. Cramer joined three other Senate Republicans who said they’d vote against confirmation, and Democrats remained united in their opposition. Cramer, and other lawmakers, have cited allegations of sexual harassment that derailed Cain’s 2012 presidential candidacy. Cain’s bid for the 2012 Republican presidential nomination ended after he was accused of sexual harassment in the 1990s, when he led the National Restaurant Association. Cain, 73, has called the allegations unfounded. At the White House on Thursday, Trump didn’t respond to a question about Cain at an Oval Office meeting about veterans. Romney didn’t mention the harassment allegations, but said that the president should choose someone less partisan and with more knowledge of economics. A number of Democrats have criticized Cain’s qualifications more generally, and Senate Minority Leader Chuck Schumer said he didn’t know of any lawmaker in his party who would vote to confirm Cain. GOP leaders, including Republican Whip John Thune, have said they don’t expect Democratic defections. Senate Majority Leader Mitch McConnell on Thursday declined to comment about whether he would personally support the nomination of either Cain or Trump’s other pick, Stephen Moore, saying neither of Trump’s choices has been formally sent to the Senate. Trump has announced Cain and former campaign adviser Moore as his choices to fill two open Fed seats, but he hasn’t taken the formal step of issuing a nomination. Moore, who co-founded the conservative group Club for Growth and was a top economist at the Heritage Foundation in Washington, is also coming under fire from Democrats. Senator Elizabeth Warren of Massachusetts, a top Democrat on the Banking Committee and a contender for the party’s presidential nomination, on Friday sent a letter to Moore questioning his credentials and ability to be independent of Trump. “You have a long history of making wildly inaccurate claims about economic policy that appear to serve political ends -- suggesting that you are unqualified and unsuited for the job for which you are expected to be nominated,” Warren wrote. She pointed to a list of op-eds and other writings she said show little understanding of how the economy works. For his part, Cain seemed to suggest earlier this month that he might withdraw. Cain, who served as a director of the Federal Reserve Bank of Kansas City, as well as deputy chairman and later chairman, said in a video posted on Facebook April 5 that he faced a “cumbersome” vetting process for the Fed seat. Trump this week said it would be up to Cain whether he wanted to follow through with a nomination.